Drivers in Old Saybrook and Madison looking for a reliable compact SUV without the new car price tag should consider a used RAV4 at Westbrook Toyota. We currently have 7 Toyota RAV4 used models in Westbrook, so browse below then contact us for a test drive! Toyota Certified, Excellent Condition, GREAT MILES 21,286! LE trim, BARCELONA RED METALLIC exterior and BLACK interior. EPA 29 MPG Hwy/22 MPG City! iPod/MP3 Input, Bluetooth, CD Player, All Wheel Drive, Back-Up Camera. AND MORE!KEY FEATURES INCLUDEAll Wheel Drive, Back-Up Camera, iPod/MP3 Input, Bluetooth, CD Player Rear Spoiler, MP3 Player, Keyless Entry, Privacy Glass, Child Safety Locks. Toyota LE with BARCELONA RED METALLIC exterior and BLACK interior features a 4 Cylinder Engine with 176 HP at 6000 RPM*.EXPERTS RAVEThe cargo bay measures 38.4 cubic feet and opens up to a generous 73.3 cubes when the second row is folded. That's one of the largest capacities in the class. There's also a payoff for that low-mounted rear seat: a very flat load floor and low load-in height. -Edmunds.com. Great Gas Mileage: 29 MPG Hwy.SHOP WITH CONFIDENCEAutoCheck One Owner 12-Month/12,000-Mile Limited Comprehensive Warranty, 7 Year/100,000 Mile Limited Powertrain Warranty from date of original purchase, 160-Point Inspection and Reconditioning, 1 Year of Roadside Assistance, Vehicle History ReportMORE ABOUT USAll preowned vehicles are covered by the Lorensen Advantage, including extended warranties and free services. For more information go to www.lorensen.com/lorensen-advantage.Pricing analysis performed on 4/16/2019. Horsepower calculations based on trim engine configuration. Fuel economy calculations based on original manufacturer data for trim engine configuration. Please confirm the accuracy of the included equipment by calling us prior to purchase. Toyota Certified, Excellent Condition, ONLY 20,593 Miles! FUEL EFFICIENT 29 MPG Hwy/22 MPG City! XLE trim. Moonroof, iPod/MP3 Input, Satellite Radio, Dual Zone A/C, Bluetooth, All Wheel Drive, Aluminum Wheels, Back-Up Camera. AND MORE!KEY FEATURES INCLUDESunroof, All Wheel Drive, Power Liftgate, Back-Up Camera, Satellite Radio, iPod/MP3 Input, Bluetooth, Aluminum Wheels, Dual Zone A/C. Rear Spoiler, MP3 Player, Privacy Glass, Keyless Entry, Remote Trunk Release. Toyota XLE with Barcelona Red Metallic exterior and Nutmeg interior features a 4 Cylinder Engine with 176 HP at 6000 RPM*. Serviced here, Non-Smoker vehicle, Originally bought here, 4 New Tires! All Service Records Available.EXPERTS REPORTThe cargo bay measures 38.4 cubic feet and opens up to a generous 73.3 cubes when the second row is folded. That's one of the largest capacities in the class. There's also a payoff for that low-mounted rear seat: a very flat load floor and low load-in height. -Edmunds.com. Great Gas Mileage: 29 MPG Hwy.PURCHASE WITH CONFIDENCE12-Month/12,000-Mile Limited Comprehensive Warranty, 7 Year/100,000 Mile Limited Powertrain Warranty from date of original purchase, 160-Point Inspection and Reconditioning, 1 Year of Roadside Assistance, Vehicle History ReportVISIT US TODAYAll preowned vehicles are covered by the Lorensen Advantage, including extended warranties and free services. For more information go to www.lorensen.com/lorensen-advantage.Pricing analysis performed on 4/9/2019. Horsepower calculations based on trim engine configuration. Fuel economy calculations based on original manufacturer data for trim engine configuration. Please confirm the accuracy of the included equipment by calling us prior to purchase. Toyota Certified, Excellent Condition, GREAT MILES 26,754! LE trim, Black exterior and Black interior. Bluetooth, CD Player, Lane Keeping Assist, iPod/MP3 Input, ALL WEATHER LINER PACKAGE, All Wheel Drive, Back-Up Camera READ MORE!KEY FEATURES INCLUDEAll Wheel Drive, Back-Up Camera, iPod/MP3 Input, Bluetooth, CD Player, Lane Keeping Assist. Rear Spoiler, MP3 Player, Keyless Entry, Privacy Glass, Child Safety Locks.OPTION PACKAGESALL WEATHER LINER PACKAGE Cargo Tray, All Weather Floor Liners. Toyota LE with Black exterior and Black interior features a 4 Cylinder Engine with 176 HP at 6000 RPM*. Serviced here, Non-Smoker vehicle, Originally bought here, 4 New Tires! All Service Records Available.EXPERTS ARE SAYINGEdmunds.com's review says It simply delivers everything expected from full-time family transportation, including a comfortable ride, strong fuel economy, plenty of cargo space, an abundance of safety features, ease of operation, and a good reputation for reliability..PURCHASE WITH CONFIDENCEAutoCheck One Owner 12-Month/12,000-Mile Limited Comprehensive Warranty, 7 Year/100,000 Mile Limited Powertrain Warranty from date of original purchase, 160-Point Inspection and Reconditioning, 1 Year of Roadside Assistance, Vehicle History ReportMORE ABOUT USAll preowned vehicles are covered by the Lorensen Advantage, including extended warranties and free services. For more information go to www.lorensen.com/lorensen-advantage.Pricing analysis performed on 4/18/2019. Horsepower calculations based on trim engine configuration. Please confirm the accuracy of the included equipment by calling us prior to purchase. PRICE DROP FROM $27,613, EPA 28 MPG Hwy/22 MPG City! Excellent Condition, Toyota Certified, LOW MILES - 8,340! LE trim. iPod/MP3 Input, Bluetooth, CD Player, ALL WEATHER LINER PACKAGE, All Wheel Drive, Back-Up Camera. READ MORE!KEY FEATURES INCLUDEAll Wheel Drive, Back-Up Camera, iPod/MP3 Input, Bluetooth, CD Player Rear Spoiler, MP3 Player, Keyless Entry, Privacy Glass, Steering Wheel Controls.OPTION PACKAGESALL WEATHER LINER PACKAGE Cargo Tray, All Weather Floor Liners. Toyota LE with Magnetic Gray Metallic exterior and Black interior features a 4 Cylinder Engine with 176 HP at 6000 RPM*. Serviced here, Non-Smoker vehicle, Originally bought here, All Service Records Available.EXPERTS CONCLUDEKBB.com explains Its 4-cylinder engine delivers decent power with good fuel economy, and it has enough ground clearance to tackle most snow and light off-road situations.. Great Gas Mileage: 28 MPG Hwy.AFFORDABLE TO OWNReduced from $27,613.BUY WITH CONFIDENCE12-Month/12,000-Mile Limited Comprehensive Warranty, 7 Year/100,000 Mile Limited Powertrain Warranty from date of original purchase, 160-Point Inspection and Reconditioning, 1 Year of Roadside Assistance, Vehicle History ReportMORE ABOUT USAll preowned vehicles are covered by the Lorensen Advantage, including extended warranties and free services. For more information go to www.lorensen.com/lorensen-advantage.Pricing analysis performed on 4/15/2019. Horsepower calculations based on trim engine configuration. Fuel economy calculations based on original manufacturer data for trim engine configuration. Please confirm the accuracy of the included equipment by calling us prior to purchase. Toyota Certified, Excellent Condition, ONLY 29,106 Miles! FUEL EFFICIENT 29 MPG Hwy/22 MPG City! Navigation, Moonroof, Heated Seats, Satellite Radio, iPod/MP3 Input, Bluetooth, All Wheel Drive, Aluminum Wheels, Back-Up Camera AND MORE!KEY FEATURES INCLUDENavigation, Sunroof, All Wheel Drive, Power Liftgate, Heated Driver Seat, Back-Up Camera, Satellite Radio, iPod/MP3 Input, Bluetooth, Aluminum Wheels, Keyless Start, Dual Zone A/C, Blind Spot Monitor, Lane Keeping Assist, Smart Device Integration Rear Spoiler, MP3 Player, Remote Trunk Release, Privacy Glass, Keyless Entry. Toyota Limited with Blizzard Pearl exterior and Black interior features a 4 Cylinder Engine with 176 HP at 6000 RPM*. Serviced here, Non-Smoker vehicle, Originally bought here, All Service Records Available. This vehicle has been upgraded with Leather and Heated seats.EXPERTS REPORTEdmunds.com explains The cargo bay measures 38.4 cubic feet and opens up to a generous 73.3 cubes when the second row is folded. That's one of the largest capacities in the class. There's also a payoff for that low-mounted rear seat: a very flat load floor and low load-in height. . Great Gas Mileage: 29 MPG Hwy.PURCHASE WITH CONFIDENCEAutoCheck One Owner 12-Month/12,000-Mile Limited Comprehensive Warranty, 7 Year/100,000 Mile Limited Powertrain Warranty from date of original purchase, 160-Point Inspection and Reconditioning, 1 Year of Roadside Assistance, Vehicle History ReportWHO WE AREAll preowned vehicles are covered by the Lorensen Advantage, including extended warranties and free services. For more information go to www.lorensen.com/lorensen-advantage.Pricing analysis performed on 4/9/2019. Horsepower calculations based on trim engine configuration. Fuel economy calculations based on original manufacturer data for trim engine configuration. Please confirm the accuracy of the included equipment by calling us prior to purchase. Toyota Certified, Excellent Condition, GREAT MILES 6,412! REDUCED FROM $30,493!, FUEL EFFICIENT 30 MPG Hwy/34 MPG City! Sunroof, Bluetooth, iPod/MP3 Input, CD Player, Dual Zone A/C, Keyless Start, Satellite Radio, Alloy Wheels SEE MORE!KEY FEATURES INCLUDESunroof, All Wheel Drive, Back-Up Camera, Hybrid, Satellite Radio, iPod/MP3 Input, Bluetooth, CD Player, Aluminum Wheels, Keyless Start, Dual Zone A/C Rear Spoiler, MP3 Player, Keyless Entry, Privacy Glass, Steering Wheel Controls.OPTION PACKAGESALL WEATHER LINER PACKAGE (DISCONTINUED) Cargo Tray, All Weather Floor Liners. Toyota Hybrid XLE with Silver Sky Metallic exterior and Black interior features a 4 Cylinder Engine with 194 HP at 5700 RPM*. Serviced here, Non-Smoker vehicle, Originally bought here, All Service Records Available.EXPERTS ARE SAYINGKBB.com's review says Toyota's 2018 RAV4 is the perfect vehicle for those who want a worry-free ownership experience in a compact-crossover SUV that offers a roomy interior, excellent fuel economy and high resale values.. Great Gas Mileage: 34 MPG City.AFFORDABLEReduced from $30,493.BUY WITH CONFIDENCEAutoCheck One Owner 12-Month/12,000-Mile Limited Comprehensive Warranty, 7 Year/100,000 Mile Limited Powertrain Warranty from date of original purchase, 160-Point Inspection and Reconditioning, 1 Year of Roadside Assistance, Vehicle History ReportOUR OFFERINGSAll preowned vehicles are covered by the Lorensen Advantage, including extended warranties and free services. For more information go to www.lorensen.com/lorensen-advantage.Pricing analysis performed on 4/11/2019. Horsepower calculations based on trim engine configuration. Fuel economy calculations based on original manufacturer data for trim engine configuration. Please confirm the accuracy of the included equipment by calling us prior to purchase. WAS $32,753, FUEL EFFICIENT 28 MPG Hwy/22 MPG City! Toyota Certified, LOW MILES - 8,911! Navigation, Heated Seats, Moonroof, Bluetooth, Back-Up Camera, Dual Zone A/C, Keyless Start, RADIO: PREM DISPLAY AUDIO W/NAV/ENTUN... AND MORE!KEY FEATURES INCLUDESunroof, All Wheel Drive, Power Liftgate, Heated Driver Seat, Back-Up Camera, Bluetooth, Chrome Wheels, Keyless Start, Dual Zone A/C, Heated Seats Rear Spoiler, Keyless Entry, Privacy Glass, Remote Trunk Release, Steering Wheel Controls.OPTION PACKAGESRADIO: PREM DISPLAY AUDIO W/NAV/ENTUNE/JBL 7 screen, 11 JBL speakers w/subwoofer, XM components, Entune multimedia bundle, HD predictive traffic, doppler weather, ALL WEATHER LINER PACKAGE Cargo Tray, All Weather Floor Liners. Toyota Limited with BLACK exterior and ASH interior features a 4 Cylinder Engine with 176 HP at 6000 RPM*.EXPERTS REPORTIts 4-cylinder engine delivers decent power with good fuel economy, and it has enough ground clearance to tackle most snow and light off-road situations. -KBB.com. Great Gas Mileage: 28 MPG Hwy.EXCELLENT VALUEWas $32,753.SHOP WITH CONFIDENCE12-Month/12,000-Mile Limited Comprehensive Warranty, 7 Year/100,000 Mile Limited Powertrain Warranty from date of original purchase, 160-Point Inspection and Reconditioning, 1 Year of Roadside Assistance, Vehicle History ReportOUR OFFERINGSAll preowned vehicles are covered by the Lorensen Advantage, including extended warranties and free services. For more information go to www.lorensen.com/lorensen-advantage.Pricing analysis performed on 4/17/2019. Horsepower calculations based on trim engine configuration. Fuel economy calculations based on original manufacturer data for trim engine configuration. Please confirm the accuracy of the included equipment by calling us prior to purchase. Test Drive a Used Toyota RAV4 SUV at Westbrook Toyota! Our customer service team can help you find the used RAV4 that fits your needs, and our finance center can help you get the best possible deal once you’ve found a model you like. 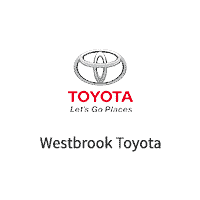 Contact us to schedule a test drive at Westbrook Toyota, and be sure to check our current used vehicle specials so you don’t miss out on a great deal! Still debating on your next pre-owned car? Explore our used Highlander and used Camry options as well!